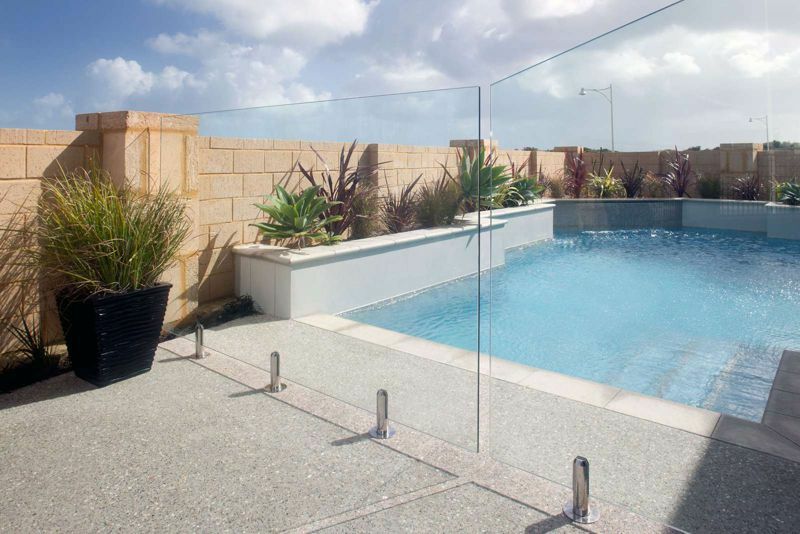 Here at Clear-Az-Glass Fencing we are proud to be one of the leading suppliers and installers of high quality glass pool fences and balustrades in the Padbury region. Our family owned and operated business is customer-centric, which means that everything that we do is done with you and your needs in mind. Additionally, we employ some of the best glass fencing experts in the entire Padbury area. Our team members are extremely skilled at what they do, and they are all highly trained in customer service as well. This means that you can rest assured that working with us will be a smooth, trouble free experience. What Glass Fencing Services Do We Offer? Semi-frameless pool fences – Our range of semi-frameless glass pool fences is second to none. With a stylish, modern look, they make a great addition to any classy backyard. Frameless pool fences – Frameless glass pool fences are the most popular glass pool fence style. They offer unobstructed views of your pool (from outside the enclosed area) and your external living areas (from in the pool). When well looked after, frameless glass fences are extremely attractive. Internal balustrades – Our internal glass balustrades can be installed in a variety of locations throughout your home. They are extremely attractive and stylish, and are used in homes throughout Padbury and the greater Perth region. External balustrades – Finding high quality external balustrades can be hard, but every single product we offer is both affordable and completely compliant with all Australian Standards. We also offer a range of tubular pool fencing and slat fencing options – ask about them today! Why Is It Important To Use High Quality Glass Fencing In Padbury? Both pool fences and glass fences in general are regulated under a range of state and national laws in Australia. In WA, pool fences have to meet a range of technical requirements with regards to their height, their design and their location relative to things like walls and garden beds. Likewise, all glass that is used as a building material in Australia (including in fences or balustrades) has to meet the Australian Standard to ensure that it’s both strong and safe. This is why we use only the highest quality glass and other materials when we’re building pool fences and balustrades. If you’d like to find out more about our glass fencing and other services then you can simply give us a call or send us an email today. Our friendly customer service team is always happy to answer any questions that you might have, and they will do their absolute best to make sure that you walk away satisfied with their answers. Get in contact with us today and help us help you with all your glass fencing needs!